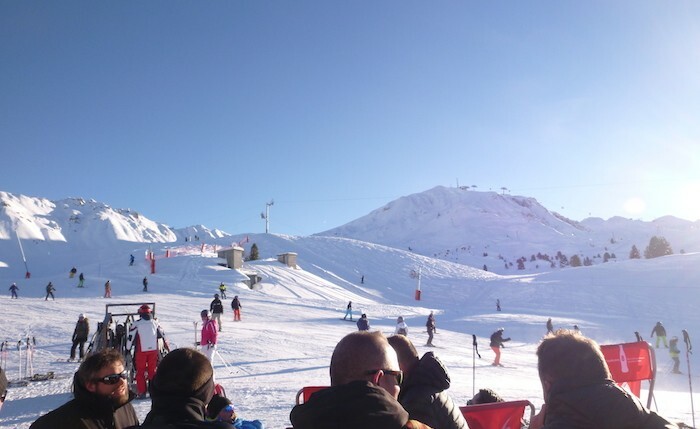 And so there I was, sliding down the slopes of La Plagne in Savoie, with Blue Oyster Cult’s ‘Don’t Fear the Reaper’ playing on a loop in my head. That 70s guitar riff playing out in my head as I did my best to control my speed and follow the girl in front of me, who I had decided had good technique. It was quite a beautiful moment. As much as my story of learning to ski was about overcoming my mental blocks about not being good at sport, it was also about facing my fear of not being in control. I had to let go enough to ski over a little rise and not know exactly was on the other side, and whether it was within my comfort zone. My fear of parking my car is well known amongst my friends and family. When I was asked recently why I didn’t like parking (and even driving sometimes), I said ‘I’m afraid of hurting someone or myself, and of hitting something and having to pay.’ Death and money – universal fears I suppose. Both illustrations of times that would also be outside of my control. One of the days I was learning to ski, I had skied on a bit from the instructor only to have him ski up next to me and say “Stop Freya, this is not the right track. This is not a good track for you.” I’d accidentally skied on to a harder intermediate piste, whereas I was suppose to have taken a left turn on to easier intermediate/beginner piste. And so I went really slow down the harder piste, because what choice did I have. It was getting late in the afternoon, I was up a mountain with a stranger and the only way out was down. I couldn’t just throw a fit on the side of the mountain and stop. But the next day, back on the easier piste and with my patient partner, I did have a fit. A mega-adult-giant-swearing-acting-like-a-three-year-old tantrum. We got to the slightly steeper bit, and I just lost it. Innocent children passing by might have heard things like “I hate skiing, I hate this place, I hate France (for the record I don’t…) etc etc.” The red mist had descended, all reason was gone and I was 100% acting on emotions. I was tired, physically maybe, but also emotionally, from constantly being in a state of high alert and high anxiety, feeling that I didnt know what was going to happen next and that one slight false move might be my last. It is on some level logical – skiing is more dangerous than watching television, but equally I was going slowly down a beginner run. The worst I could do was an awkward knee injury probably. By fearing the worst, fearing the reaper, I was robbing myself and those with me, of the chance to enjoy skiing together. Surely, if something is going to happen it’s better to have enjoyed the day and time leading up to it then lived in a constant fear of something happening. Surely? It surely wasn’t easy to tell me that, as I sat huffily on the mountain in the snow, as children skied by happily. It was such an awful moment, utterly crumbling into my fears. I was basically saying “That’s it. I don’t want to be an adult right now. I’m sick of adulting today.” The fact that I wasn’t left on the mountain alone is a powerful testament to how much I’m loved, because quite frankly – given the option – I would have left me on the mountain, and skied off on my own without the screaming, crying voice with me. We went back again the next day, because I wanted to erase that meltdown as our primary ‘Couple Skiing Together’ memory. The second time was better. I held it together. We stopped at one of the mountain restaurants and attempted to order hot red wine (the wine never came actually, but it’s the thought that counts…), we took photos. It was nice. And this time I tried not to fear the reaper so much.